Nominations for the 2018-2019 awards cycle are now closed. Awards will be announced at the Outstanding Student Awards Ceremony on Monday, May 13, 2019. Read below for more information about the awards, along with the 2018 recipients. The Center for Student Involvement Leadership Awards honors student organizations and their leaders who have had a profound impact on campus and in the community. 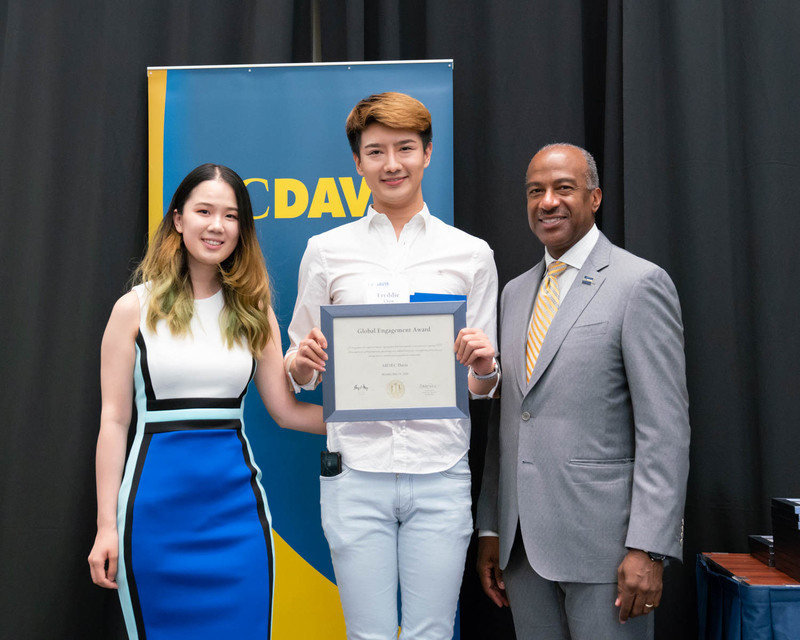 All award recipients were honored at the 2018 UC Davis Outstanding Student Awards in May. For full descriptions and photos of the award recipients, please check out the awards program. 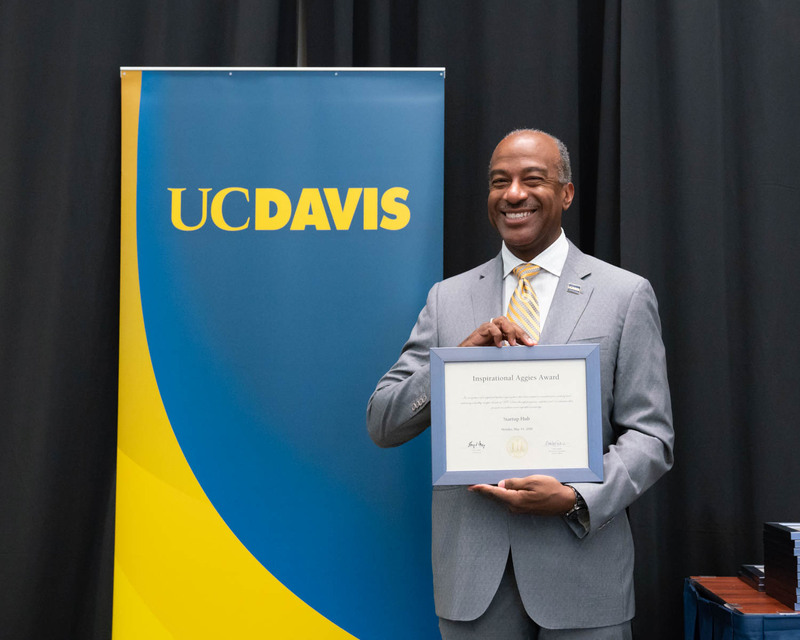 In honor of Ted Adams, former director of the UC Davis Student Programs and Activities Center, who wished to recognize student leaders, The Adams Award honors individual leadership and accomplishment within registered student organizations. The Adams Award is presented annually by the Center for Student Involvement to a leader of a registered student organization who has effectively directed or influenced the student organization, campus and/or wider community. Victoria Chau, of PIXEL Graphic Design Club, is this year’s recipient of the Adams Award. 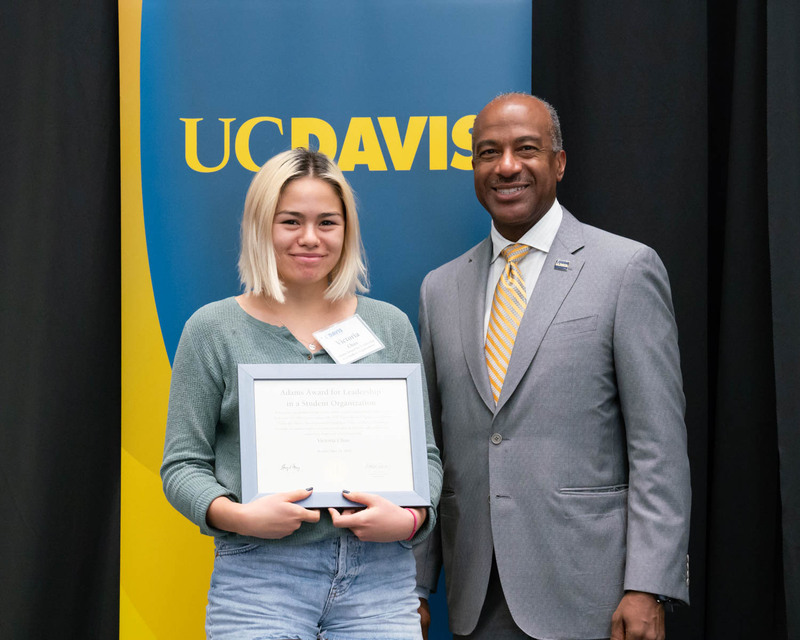 PIXEL was a tremendous influence on Victoria’s personal growth during her time here at UC Davis as she’s served as an intern, vice president and, most recently, president of the organization. As president, Victoria had three goals for her organization: connect to a network of graphic design professionals, foster a community of support and create an empowering team experience for her board. Through effective communication, meaningful relationship building, authenticity and respect, Victoria led the board and entire organization to reach those goals and celebrate other achievements along the way. Victoria has been influential in rebuilding PIXEL and established a strong foundation from which the organization will continue to grow. The Advancing Academic and Career Goals Award recognizes a registered student organization that successfully promotes academic achievement and provides opportunities for a diverse range of students to explore new areas of interest and develop academic and/or professional qualifications for future success. The Aggie Transcript is a student-run life sciences journal that provides a platform for undergraduates to publish their perspectives on science with its role in society, scientific literature reviews and case studies. Members develop strong communication, interpersonal and teamwork skills through the writing, editing, review and approval process, which requires the exchange of constructive criticism among peers. A diverse range of students form The Aggie Transcript’s team. Papers delve into various interests, continuously exposing those involved to an broad range of knowledge. Students practice synthesizing and summarizing information from multiple sources, skills that are highly applicable in any academic or professional field. 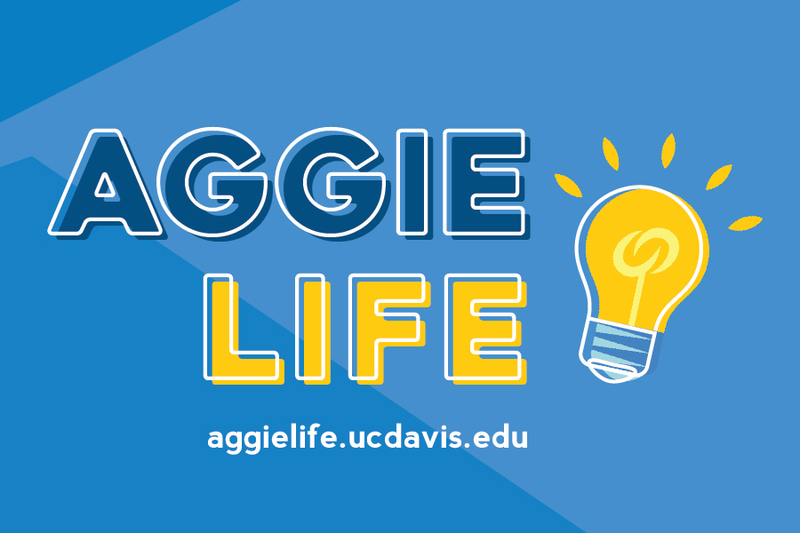 Through its fostering of professional skills, exploration of new areas of interest, and academic qualifications, The Aggie Transcript sets up its members for future success. Successful student leaders balance multiple academic, work, leadership, service and other personal commitments. The Balanced Leaders Award recognizes a registered student organization that best develops members' skills to support time management, academic commitments, and social engagement. Balanced leaders aspire to achieve academic goals while also maintaining co-curricular involvement and personal wellness. Zeta Sigma Chi Multicultural Sorority Inc.’s principles are education, success, culture, service and sisterhood, and they intentionally strive to inspire members to have a balance of all five in every aspect of their lives. Active in the Student Organization Wellness Initiative through Health Education and Promotion, the student organization offers a full schedule of educational programs, sisterhood events and community service opportunities for members while prioritizing academic excellence. In fact, in fall quarter 2017, every active sister of the sorority earned a 3.5 GPA or higher. Zeta Sigma Chi believes self-care and well-being for all members come first. They believe when that foundation is strong and supported by members, the rest comes naturally. The Excellence in Student Collaboration Award recognizes a registered student organization that demonstrates a collaborative and inclusive approach to their projects and a commitment to utilizing diverse frameworks in developing their contributions to education. 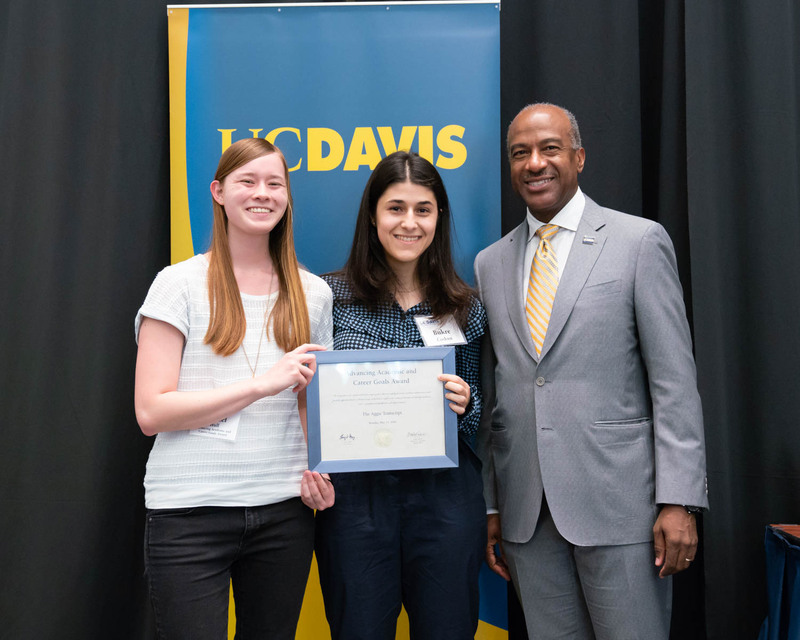 The Communication Club at UC Davis prides itself on providing opportunities for members to explore potential career fields, learn from guest speakers, meet fellow students in the major and network with faculty and professionals. One of their main goals over the past year was to collaborate with other student organizations and become more involved with the communication department on campus. They achieved this goal through strategic communication and relationship-building with faculty and staff and effective marketing to other publics. When their programs were relevant to other student organizations, Communication Club extended a formal invitation and promoted cross-club networking and professional development. 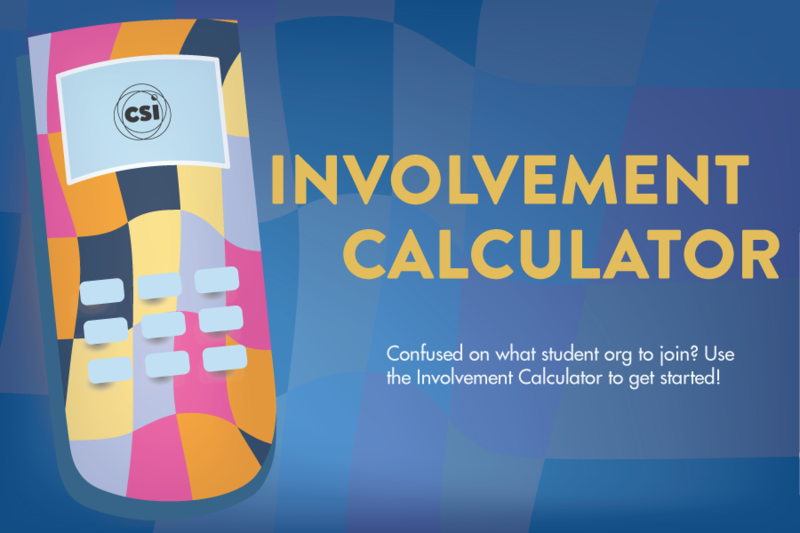 As a fairly new student organization, they look forward to growing their membership and reaching goals through future partnerships and collaborative endeavors. 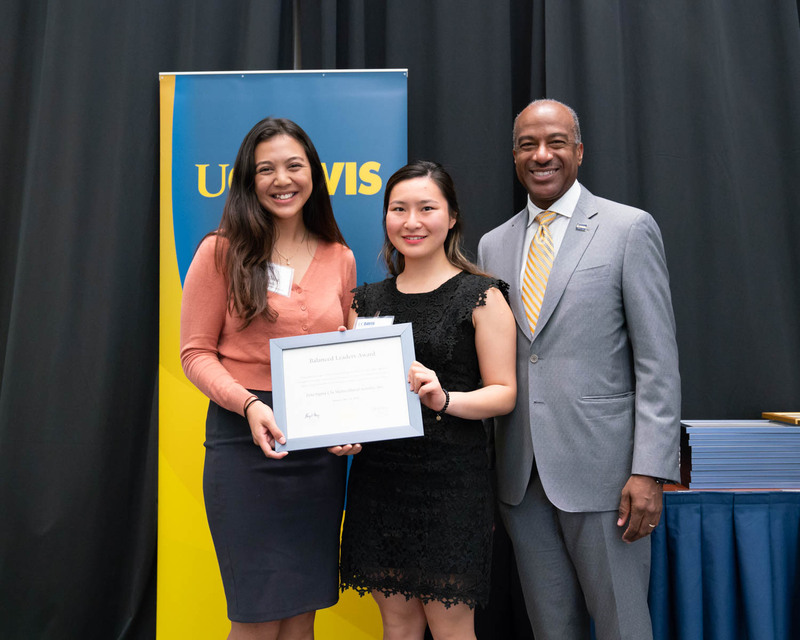 The Global Engagement Award recognizes a registered student organization that demonstrates a commitment to exposing UC Davis students to global perspectives, promoting cross-cultural awareness, and exploring intersections of identity between domestic and international communities. AIESEC aims to promote cross-cultural understanding by sending student volunteers from UC Davis abroad. They function as a gateway to connect UC Davis students to the bigger world. In the past year, the student organization facilitated sending 18 volunteers abroad to countries like Thailand, Argentina, Korea, Morocco and Egypt. Through personal experiences and engagement across the globe, members gain cross-cultural understanding and are continuously taking ownership of the opportunity to make change in the world. 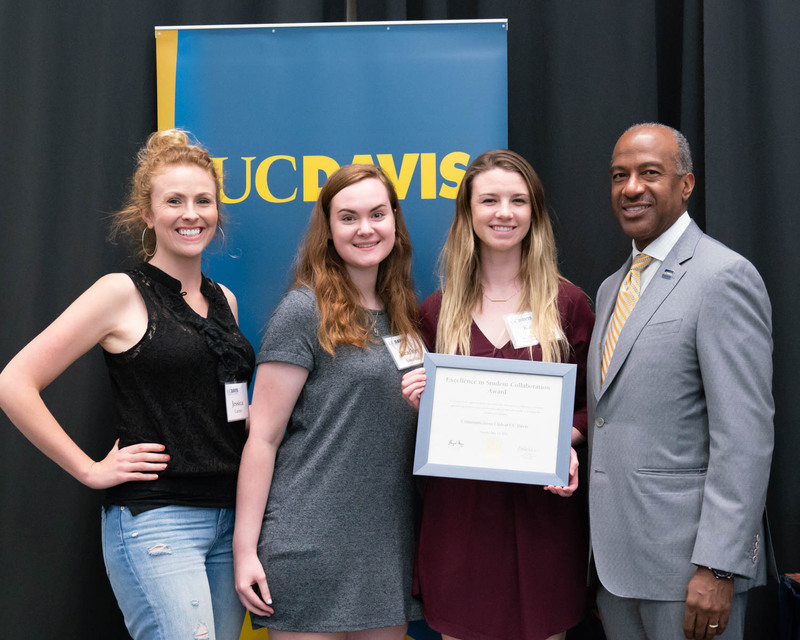 The Inspirational Aggies Award recognizes the registered student organization that demonstrates a commitment to creating and sustaining a healthy campus climate at UC Davis through programs, activities and/or initiatives that promote a campus climate of inclusion and respect. 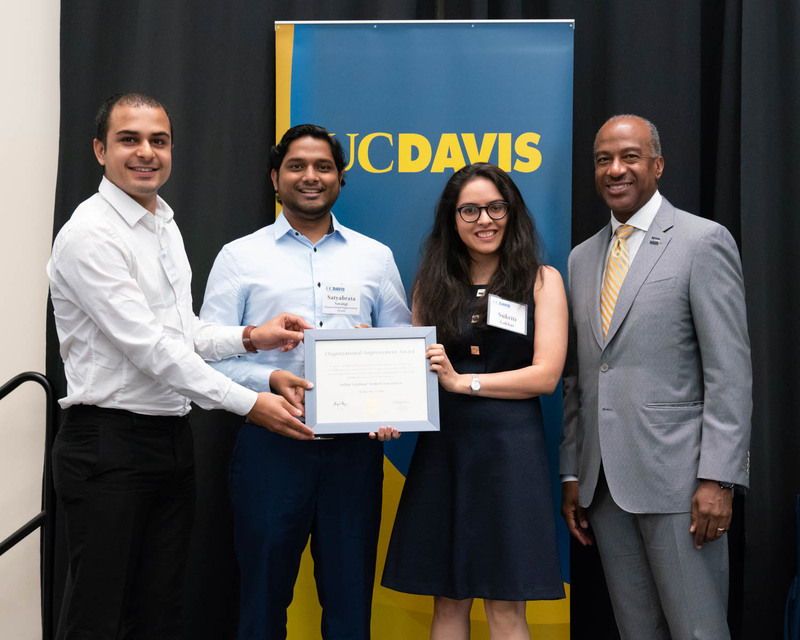 Startup Hub's mission is to cultivate an atmosphere of innovation at UC Davis by establishing a safe think-tank space for students wishing to develop their ideas into action. They strive to provide members with resources and the push to reflect on their ideas, conduct relevant research and get the ball moving to guide them on the right track toward drafting preliminary project proposals. Last year, the student organization conducted UC Davis' first student-led Startup Panel geared toward marginalized communities and featured panelists from all over the world. Startup Hub invites ideas that go beyond the standard notion of a startup, and they seek to empower students of all identities in promoting an inclusive and respectful community. The Organizational Improvement Award recognizes the registered student organization that has taken significant steps in order to improve its overall effectiveness from one year to the next. 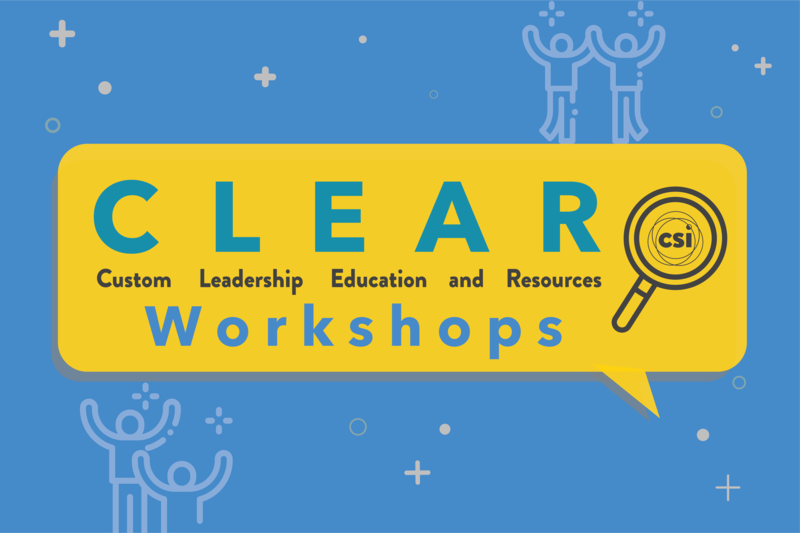 Areas of improvement may include: member academic success, membership recruitment and retention, budget management, program planning, and leadership while fulfilling the mission and goals of their organization. The Indian Graduate Student Association (IGSA), with leadership from their executive board, made great strides over the last year to improve professionalism and organization of its executive board functions, membership recruitment and retention, budget management, and cultural and technical program planning. Among their many accomplishments, IGSA increased its social media following by over 200 percent, created its first professional website and hosted the inaugural IGSA Industry Professionals Conclave. They increased membership size and successfully secured sponsorship to offer free and discounted events. Part of their improvement efforts was also preparing next year’s members for success with a budget surplus and effective leadership structure.